You can download PDFs of our product literature or request printed copies to be sent by mail. We have authored several white papers and make them available to you here to download. Some application case studies have been conducted and we share them with you here. 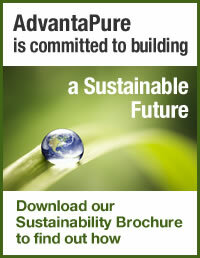 Download statements regarding individual AdvantaPure product's compliance with REACH, RoHS, etc. We can provide validation summaries as well as comprehensive validation reports for many of our products. We maintain a Documented Change process for all products, major processes or documentation related changes.